If your home or business has been damaged by a fire, there are a lot of questions that need answers. That’s why we’ve compiled a list of common questions that people ask when they’re faced with a fire. If you have any additional questions about what to do after your property has been damaged by a fire or need help from Rapid Restoration, don’t hesitate to give us a call! Will you be able to board up my home? We offer emergency board-up services. We understand the urgency of the situation, so we’ll arrive on your site quickly to begin the damage mitigation and recovery process. 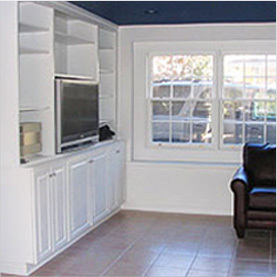 We will minimize the damage to your property by boarding it up and beginning recovery right away. Will I be able to stay in my home while you recover it? Whether or not you can stay depends on how extensive the damage is and whether our highly trained professional damage assessor deems it safe to stay in the house. Though you may have to move out for a few days for your own safety, we will work quickly to completely clean and deodorize the area so it can be safe once more. Can anything be done about that terrible smoke smell? Call us today and we’ll be able to completely eliminate the odors from your home. We have a variety of highly effective solutions to odor problems, including Odorox deodorization. No matter how strong or extensive the smell, our trained professionals will get it out of your home for good. How long does it take to repair damage from a fire? 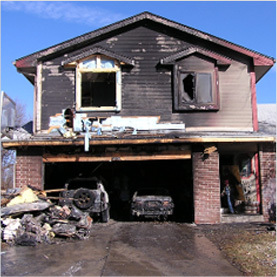 The source of the fire and the extent of the damage all can determine how long it takes to restore your property. Know that when you call Rapid Restoration, we will work as quickly and efficiently as possible to get your home back to normal. Can I clean up the damage myself? While it may seem easier to clean up the damage from a fire yourself, it is best to hire a restoration company to clean up the damage for you. A restoration company can find the hidden sources of the smell of smoke and soot and make sure there aren’t any hidden damages from fire or smoke. Water damaged my home when the fire was put out. What should I do? It’s not uncommon for your home to get damaged by water because of how the fire was put out. 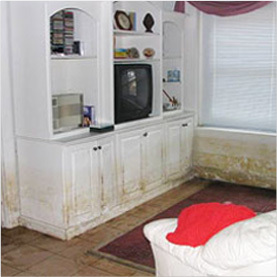 Rapid Restoration is a full-service restoration company and can restore your home after water damage! 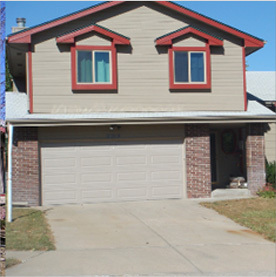 With Rapid Restoration, you don’t have to worry about working with more than one company to restore your home. Is fire damage covered by my insurance? While it depends on the insurance, most homeowners’ insurance policies do cover fire damage. It’s important to read your insurance policy to find out what is covered and what isn’t covered after a fire. Does Rapid Restoration work with my insurance company? We want to make the insurance process as painless as possible for you. Once you submit your claim, we will work with your insurance provider to make sure all payments go through. If there is something that we had to restore that isn’t covered by your insurance, we will work with you to let you know what your options are. What should I do after a house fire? Stay safe and act fast. Contact your insurance company and a restoration company. Document as much of the damage as you can. Let a restoration company take care of the rest. Do I need to hire a separate contractor to reconstruct my home or business? At Rapid Restoration, we do any necessary reconstruction after your home has been damaged by a fire, from emergency board-up to rebuilding your property so it looks good as new!